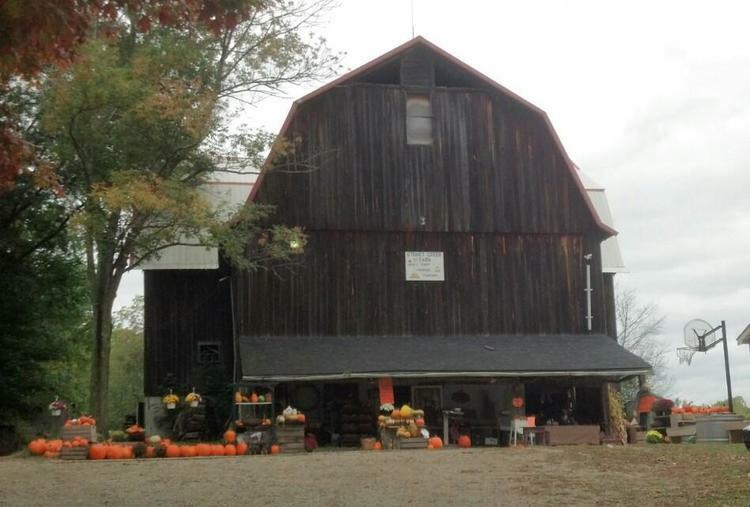 Our 100 year old barn is the center of all activities. 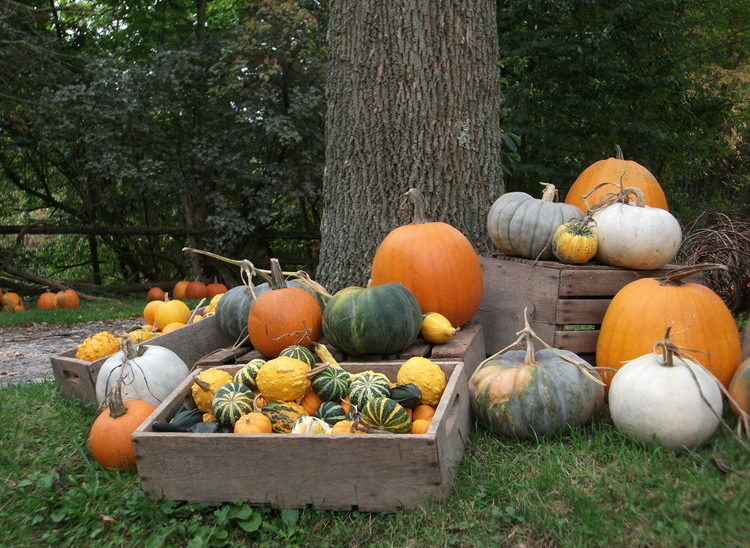 We grow a variety of colors and shapes of pumpkins and gourds. 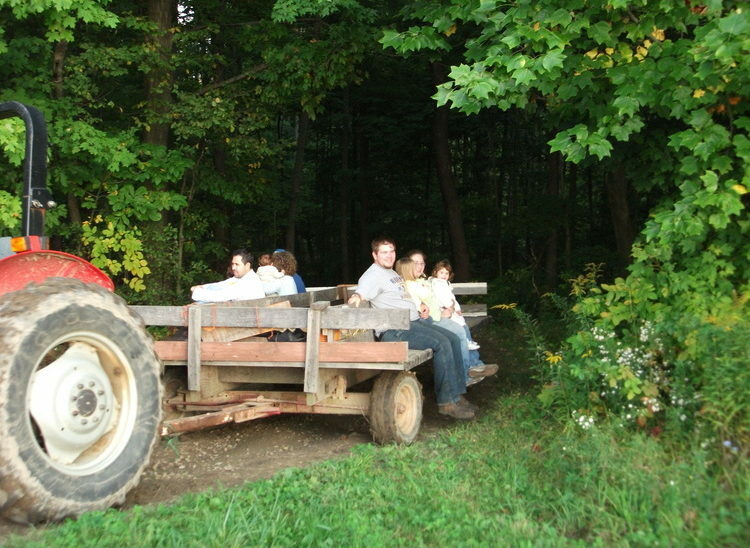 The beginning of the hayride goes down the hill into the valley. 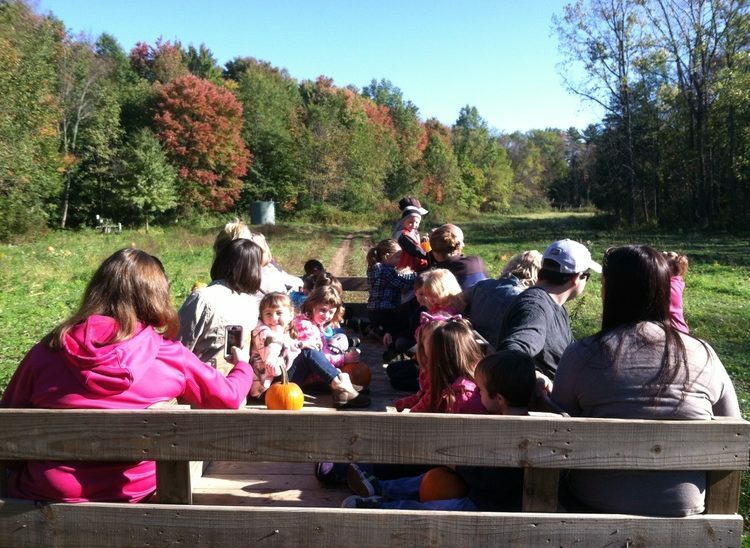 The hayride is on an open wagon so one has a clear view of the countryside. 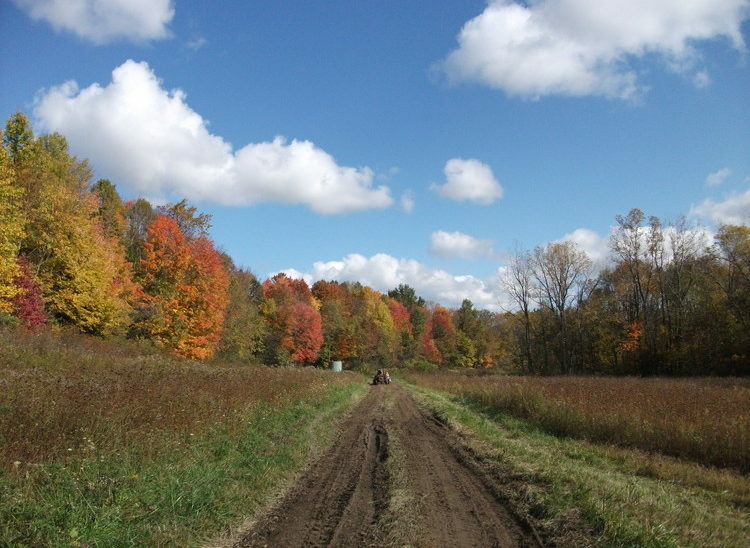 The fall colors are beautiful! 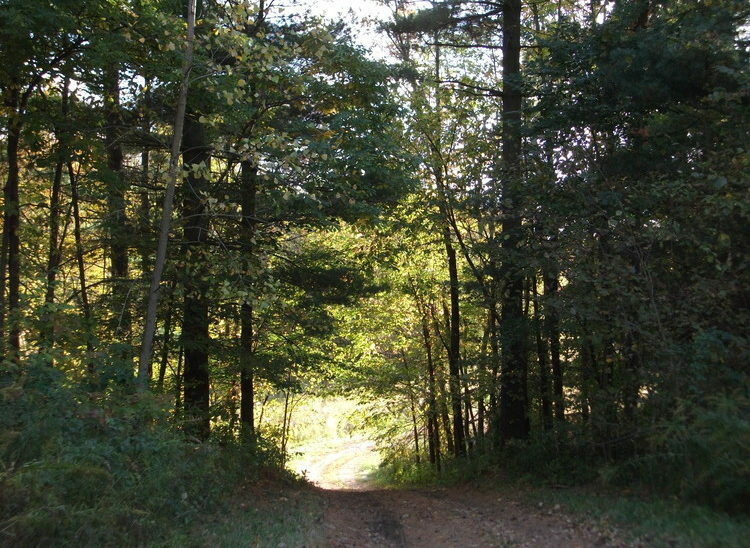 After passing the maple syrup camp, the hayride travels back up the hill through the woods and back into the open. We have literally thousands of pumpkins to choose from. 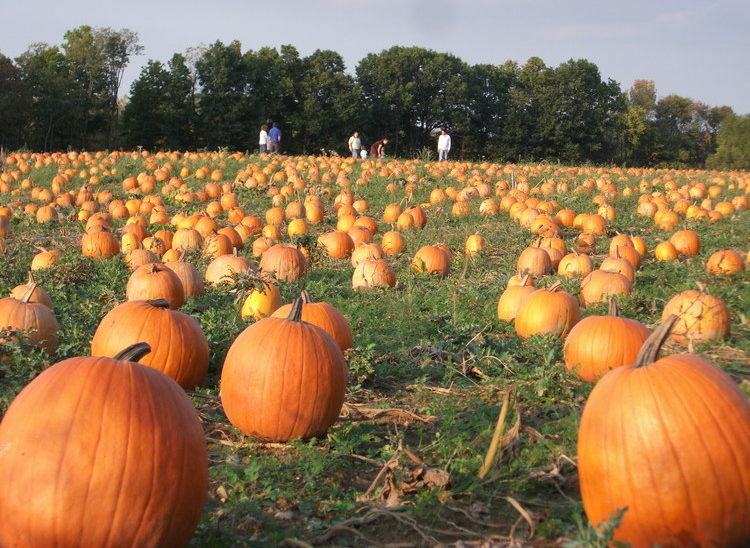 The pumpkin fields are rotated from year to year, but there are always thousands of pumpkins to choose from. 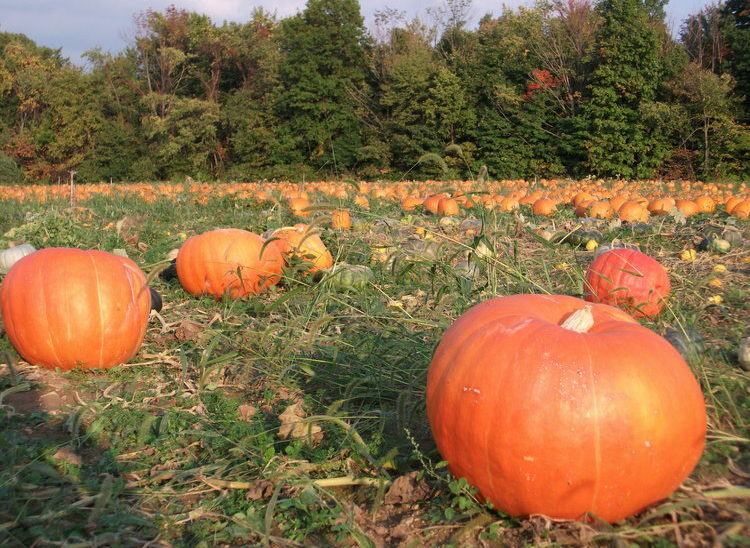 Some of our giant pumpkins surpass 100 pounds, and have grown as large as 200. 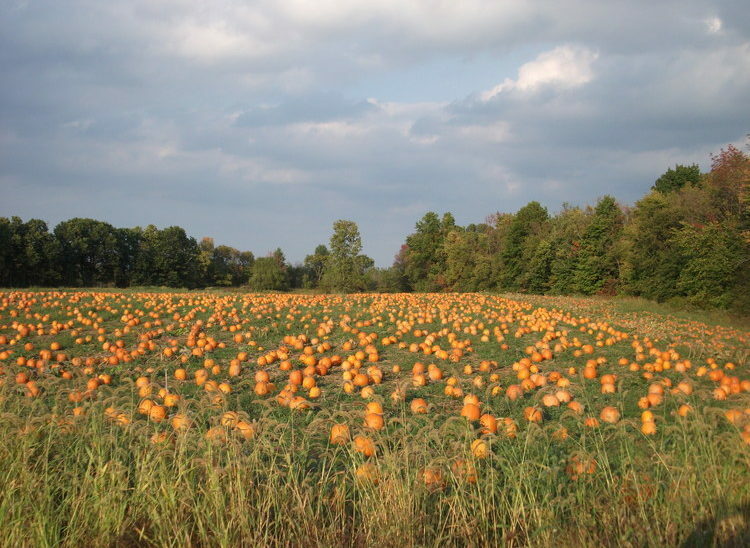 The largest pumpkins are always sold on the first few hours of the first day of hayrides in September. 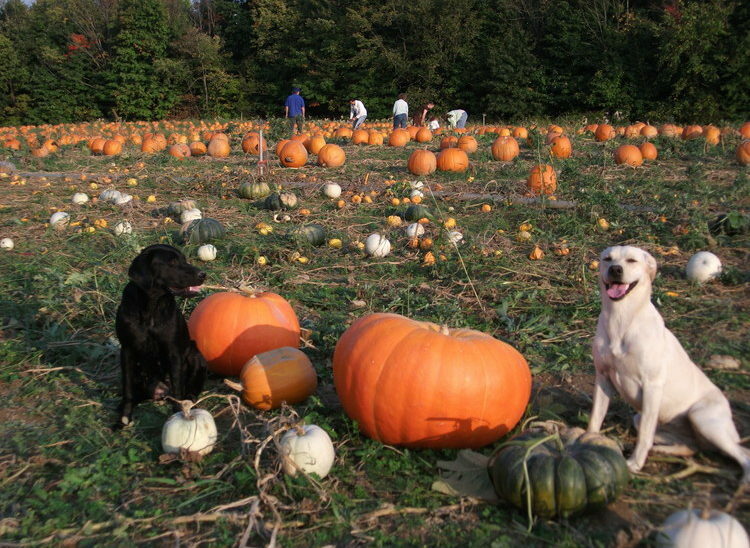 There are pumpkins to choose from at the barn. © 2019 Copyright Stoney Creek Farm. Crafted by Nevin Morgan.